What's the use when the god of confusion keeps on telling the same lie? This song has heavy religious undertones. 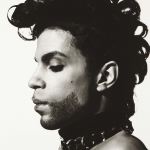 Since Prince was a member of the Jehovah's Witness religion, his writing was influenced by his belief system. "The god of confusion" refers to the JWs belief in Satan as the devil. The lyric, "Don't cry, don't shed no tears... cause we know how this movie's ending" refers to an Armageddon the JWs believe will occur. At the end of the song, when "the girl opens the books she knows will settle all the scores," that book is the Bible. Prince embraced his new religion after becoming friends with former Sly and the Family Stone bassist Larry Graham, who was a Jehovah's Witness. Prince was nominated for Best Male Pop Vocal Performance for this song at the 2005 Grammy Awards but lost to John Mayer's "Daughters." Aside from its title, this song has no connection to Neil Young's "Cinnamon Girl." There was a swirl of controversy around the music video for this song, which features actress Keisha Castle-Hughes as a Muslim girl who faces extreme prejudice after the September 11 attacks on the US and dreams of becoming a terrorist herself.